For over a week, teams on nearly every continent clamored for the final eight spots at Dota 2’s Kiev Major. Now, eight days later, eight teams have emerged from regional qualifiers and must prepare for the next step. This Major’s qualifiers have been more intense than ever. In SEA, where not a single team was given an invite, teams fought for two chances to represent their region. Meanwhile, South America had its first-ever regional qualifiers, separating its unique community from that of North America, and CIS was given its own chance after being stacked with European teams. Champions of the Winter Battle Cup, the in-game tournament system, were given a chance to participate as well. To fill out the final eight slots of the Kiev Major LAN event, South America, North America, Eastern Europe/CIS and Western Europe were each given a qualifier spot, and China and SEA fought for two. With these changes in place, hundreds of teams entered the heat of battle. Now, we have our winners. Will they surprise in Kiev like they did at TI6? The first team to reach the finish line was Faceless from the SEA region as the Singaporean squad, which includes vets Black^, iceiceice and xy-, took down three regional rivals with scattered Filipino pros. After tying with two other teams 7-2 in the group stages, they were given a run for their money, especially against TNC Pro, which delayed the inevitable after their base was torn apart. The team has already shown a solid record in its short time together, Kiev aside, and if their LAN run is anything like their qualifiers, they’ll be a force to be reckoned with. In the final day of qualifiers, Filipino org TNC Pro caught up in the loser’s bracket to earn the second regional spot. Like much of the region, they also had a hard battle to the top, especially against ex-finalists and local rivals Mineski.GG. They eventually earned the privilege of being their country's representative. After reuniting TI6 member Raven with fellow teammates Kuku and Sam_H, they’ve been one of the more prominent teams in the region (and even internationally) in the time before the qualifiers, so it's a matter of how they’ll stand once again against elite teams. Will they surprise in Kiev like they did at TI6? In the western hemisphere, Team Secret picked up a hard-fought EU West spot after a difficult run in what’s considered to be a “stacked” region. Alliance, the TI3 champs, had come from defeating fan favorite B)ears in the loser’s bracket for the grand finals, but Secret were able to take them down in a tense but clean 2-0 match. Secret, which is a former European favorite banner that now features vets pieliedie, MP, KheZu and MidOne, had their reputation tarnished after Puppey and Kermal, respectively the captain and owner, were accused of holding back money from winners; EternalEnVy of Team NP claims some is still missing. 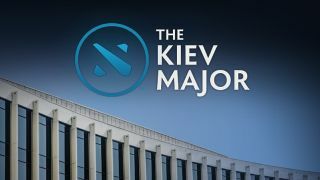 Kiev will be Secret’s first Majors appearance since the claims surfaced after The International 6. The neighboring team in EU East/CIS to win the local spot was Virtus Pro, the aggressive Russian team that was favored during the pre-Boston competitive season and won The Summit. With Solo in the captain’s chair and a star squad beside him, they had a perfect group stage and were able to pull off a full run through the winner’s bracket, defeating the roster of long-standing CIS banner Team Empire. After dropping game one, final two games in the match were won in dominating and persuasive fashion, each wrapping up in under 22 minutes. VP will need to bring this fast and furious game to Kiev and hope other teams won’t learn how to shut them down like they did in Boston. The atmosphere of the North American qualifiers was tense, especially with recent shuffles and drama hanging in the air. BuLba had just left Liquid to form international squad Team Onyx, and CompLexity rose up from the open qualifiers after their mid left, bringing in pub star and 9k MMR player 747. It came down to these two teams, and Team Onyx rose to the occasion to win for the NA spot. The team is certainly an all-star lineup, especially with DemoN returning from his time with TNC and Fnatic to help the SEA region improve, and now they’ll set out to be the newest crew of celebrity power in NA. South America’s qualifiers were packed with a few small and unfortunate, but fortunately resolved, controversies. Unknown, whose banner once represented the region at Valve’s Frankfurt Major, ragequit mid-game long before what’s politely acceptable. In another match a caster was assigned to the region but reportedly wasn’t informed on their active channels, and international casters scrambled to cover for them. Despite these issues, the South American qualifiers proved entertaining to watch. In the end, SG e-Sports from Brazil came out on top with an emotionally-charged victory over established squad Not Today. Each player has been working hard to succeed in the local professional scene since 2014, and now the recently-formed squad will represent their region and proud country in Kiev. China’s qualifiers were fairly stacked, as many the teams that fought for Kiev were considered to be fairly equal in tier. In the first set of finals, two different Invictus gaming squads, the main roster and the Vitality squad, faced off against each other for the first qualifying spot. The two sister squads had intense battles, but IG.V proved their worth and took the prize. IG’s main roster, featuring renown vets BurNing and Q, still had a shot at the second slot, and Vici Gaming’s main roster came up from the loser’s bracket to give them a run for their money with an intense rematch series. IG still proved stronger and won the second spot, filling out the sixteenth slot for Kiev’s main event.